Ruth Louise Stoddard was born in Litchfield, Illinois on August 13, 1925. She left this mortal life on June 13, 2018 in Englewood, Colorado. Ruth grew up in Litchfield and graduated from high school there. She continued her education at Stephen’s College in Columbia, Missouri earning an Associate in Arts degree. Afterward, she went on to receive her Bachelor of Arts in Education degree from the University of Michigan in Ann Arbor. Subsequently, she taught elementary school in Downer’s Grove, a suburb of Chicago. She then moved to Denver and worked in the Registrar’s office at the University of Denver. Through a mutual friend, Ruth met Orville Stoddard. They were married in 1950 and finally settled in Colorado in 1959, where they raised three children. She supported her husband’s membership, and helped coordinate multiple events for the American Association of Civil Engineers, the United States Navy Scouts and Raiders and the Colorado State University Rams-- never forgetting her allegiance to her own Stephen’s College and University of Michigan alma maters. Ruth retired from being a top Avon sales representative after a very successful 45- year career with the cosmetics company. Her natural charisma and love for interacting with people made her work both genuinely fun and rewarding. She enjoyed being the “Ding Dong Lady” for everyone she met. 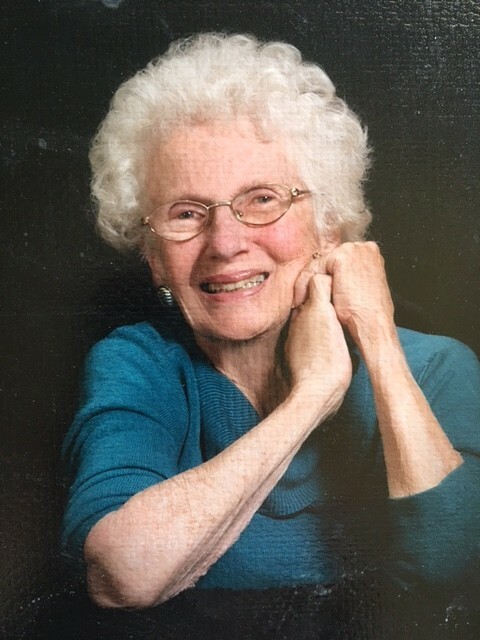 Ruth was a member of St Michael and All Angels Episcopal Church in Denver since 1959, and was very involved in parish life throughout the entirety until her death. 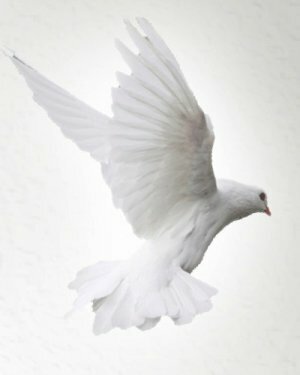 She and Orville attended mass regularly, were active in Tuesday Morning Bible Study and multiple church events, including the Mr. and Mrs. Club. Over the years, they were able to participate in several pilgrimages to the Holy Land, England and parts of Europe. On occasion, she was also able to attend meaningful retreats at New Mexico’s Monastery of Christ in the Desert, where she deepened her spirituality. Ruth is survived by her daughter and son-in-law Mrs. Nancy and Mr. Jim Godwin of Tucson, AZ; son and daughter-in-law, the Reverend Mr. Gary and Mrs. Rachelle Stoddard of Englewood, CO; grandson Mr. Daniel Stoddard of San Francisco, CA; granddaughter Mrs. Martha Osborn of Sedalia, CO; grandson Mr. Matthew Stoddard of Centennial, CO; and great granddaughters Kira and Kendra Osborn of Sedalia, CO. She is preceded in death by her husband Mr. Orville Stoddard, her daughter Mrs. Janet Bond, her sister Mrs. Margaret O’Brien, and her parents. First and foremost, Ruth will be remembered for her deep commitment to maintaining relationships with both family and friends. She made extra efforts to keep in close contact with everyone she knew from elementary school to the present. This remained a priority throughout all of her life, and she liked nothing better than to sit down and write a special note, or make a call to stay in touch. She deeply loved her children and reveled in spending time with each of them. Her abiding appreciation for the Arts never abated. She enjoyed symphony performances, the Impressionist painters and was a voracious reader. This enjoyment sustained her throughout the last 10 years, despite suffering from Alzheimer’s Disease. Two of her paintings were specifically chosen by the Colorado Alzheimer’s Association for their annual auction. Her avid, fun-loving sense of humor was always present until the day she died. Memorials may be made in her honor to the Deacon’s Discretionary Fund at St. Michael and All Angels Church—1400 South University Boulevard, Denver, CO 80201.